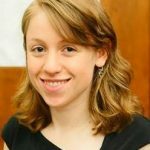 This paper examines Nietzsche’s peculiar use of the word “justice” [Gerechtigkeit] and related terms, especially in the second of the Untimely Meditations, “On the Uses and Disadvantages of History for Life,” but also continuing into his later works, notably On the Genealogy of Morality. Nietzsche’s usage is peculiar in two major respects. First, he speaks of justice primarily as an epistemic virtue or attitude rather than a moral or practical one: justice is a matter of attributing to everything (events, institutions, agents) the appropriate level of importance and value; Nietzsche claims that all actions, even (morally) just ones, require a stance of epistemic injustice. Second, “justice” in Nietzsche’s writing often has an affective cast: it is not merely a reliable disposition but a “will,” a “drive,” with a distinctive associated state of mind; it is not indifference or impassivity, the lack of interest or preference, but rather, as Nietzsche puts it in the Genealogy, “justice is always a positive affect.” I interpret these data by reading Nietzsche, following Alfano (2013), as a virtue epistemologist of the “inquiry responsibilist” type, who is interested not in offering definitions of knowledge of justification but in the mindset and attitudes appropriate to knowledge-seeking and the place of inquiry in a good human life. 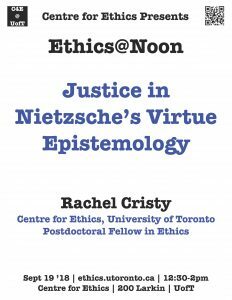 Finally, I offer some connections between Nietzsche’s unusual understanding of “justice” and some of his larger concerns, including his perspectivist epistemology and his critique of (post-)Christian morality.